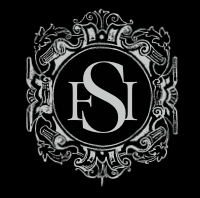 Future Symphony Institute | Orchestrate a renaissance. We hope that our work has challenged and encouraged you, and that the ongoing discussion and the library of content that we are assembling online have benefited your thought life and your musical life too. It has certainly been a great blessing to us to have such work to do. But of course, it is a great deal of work and it has only begun. We need your help to make it to the next level. Video is the fastest-traveling means to spread ideas today. Please consider including the Institute in your giving plans this season. Your contribution will help us to produce and release our first contributions in a series of films that will seed new and surprising answers to the challenges presented to classical music in our modern age – starting with the incredible conversations about the roles of and relationships between orchestras and communities that we documented this year at our conference in Seaside. Make your tax-deductable donation online. Wine for Beethoven was symbolic. He felt that wine was something that inspired people to communicate in a more immediate way with each other. It was something that would strip away all the barriers and layers of status, and bring everyone around the table to eat and drink and be equals. 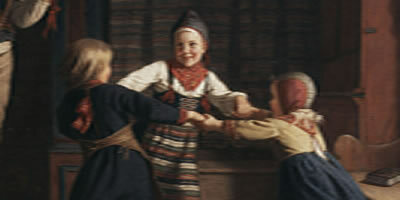 The observation is often made that political conservatives do not have anything much to say about the arts, either believing, with the libertarians, that in this matter people should be free to do as they please, or else fearing, like the traditionalists, that a policy for the arts will always be captured by the left and turned into an assault on our inherited values. Of course, there is truth in both those responses; but they are not the whole truth. Revolution has been the slogan and banner for generations of certain types of creative idealists. But what have these fashionable revolutions to do with a love of life, or even of a love of the poor or the outsider? They seem more concerned with a love of transgression. Counterpoint in music is like rhyme in poetry: it holds disparate things together in a unity, and at the same time it shows that unity is not simple but composed. Only mastery of counterpoint can make a single chord, sounded in root position for three minutes, into one of the most varied events in music – but that is what Wagner does in the Prelude to Das Rheingold. Modernity consists of perversions of notions drawn from Christianity; to be a modern means to be deeply enmeshed in them. It is an important book and one we’ve long argued for because it brings to the consideration of musical matters the indispensable examination of philosophy. And it does so in Sir Roger’s inimitable way, which is exceedingly readable. Sign up to receive a copy of our zippy, little newsletter each month by email. Ours is a musical culture. People of all musical tastes and backgrounds understand this. Music marks the passage of our moods, our days, our seasons, our years, and our lives. It brings us together, and it marks out our solitude. It celebrates our achievements and mourns our losses. And the music itself is common property to all. It is not like, say, a painting that is sold and then belongs only to the purchaser, to hang over a sofa or in a private collection, perhaps to end up one day in a public gallery. You cannot buy a song or a symphony, only an instance of it. You cannot buy a box of chords or key signatures like you can a box of watercolors or pastels. In fact, the music belongs even to those who haven’t heard it yet. We are trustees of an international treasure, obliged to understand the accident of our existence in this time and place more as a responsibility than an entitlement. This realization takes on a special meaning today for the defenders of music’s classical tradition. For if it’s true that music is made of what you cannot buy, it is also true that a page of chords and key signatures is not what we enjoy when we enjoy music. We do not dance to sheets of paper covered with notes or recall a melody as ink markings on a staff. Music lives for us as a performance in which we partake, as musicians, as listeners, as dancers. And so the tradition of live performance is the heart of our classical tradition. Our classical tradition, in turn, is at the heart of all our other musical traditions. What we are about is nothing less than the preservation, in trust, of the tradition of live classical music for the benefit of all posterity. But we do need your help. Please consider joining us in support of this worthy cause.